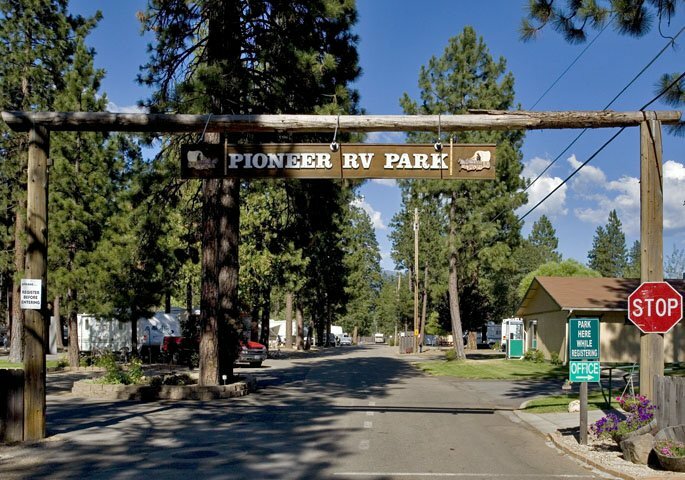 I just stayed at Pioneer RV Park on my way through the area. It was supposed to be just a couple of nights on our way North… but the park was just so wonderful that we decided to extend our stay. First of all, everything is so neat and clean! The bathrooms were immaculate. The sites are large, level and well-maintained. We had a pull-thru site that was so long we could have parked a train in it! Seriously! We’ve all stayed at places that are just a business… a way for someone, somewhere, to make a dime. No soul. But Wes and Diane really love their park. And it shows. They are the hosts with the most! Friendly. Professional. Knowledgeable. Spend too long here and you’ll be spoiled… there aren’t many places that compare!